If you are looking for homes for sale in 85258, 85260, Gainey Ranch, McCormick Ranch, Phoenix, or Scottsdale, the Ranch Realty can help. They have a comprehensive portfolio of homes for sales including family homes, luxury mansions, town houses, apartments budget homes, vacation homes and more. If you want to sell your home, they will also find you the right buyer. Phoenix is the biggest city in the state of Arizona and the sixth most populous city in the US. The city and its surrounding areas are often referred to as Metro Phoenix or Salt River Valley. Metro Phoenix is set to become the next Silicon Valley. Lower taxes and lower cost of living makes this part of Arizona attractive. Property prices are generally lower than comparable areas in California. However prices are on the rise so now is a good time to buy. The economy is on the rebound and growth areas include technology and tourism. There are many other good reasons why people choose to live in places such as Phoenix, Arizona. Low taxes, proximity to attractions such as Las Vegas and the Grand Canyon, the wild west culture, the lack of winter, spectacular sunsets and outdoor activities such as hiking and mountain biking. It does get hot in Phoenix since it is located in the Sonoran Desert. However there are cooler areas such as Flagstaff. Traffic can be a nightmare in big cities, but in not in places such as Arizona. They use a grid system which makes commuting to and from work a breeze. There is also 4.6 mile bicycle boulevard for those in the city and offers a safe way to commute. You get your wealthy areas and middle-class areas. 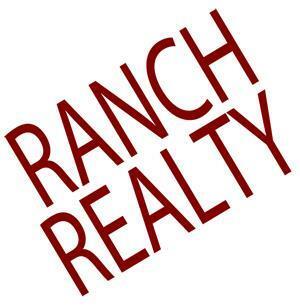 So if you are looking for homes for sales in areas such as 85258, 85260, Gainey Ranch, McCormick Ranch, Phoenix, or Scottsdale, Ranch Realty can help you find the right property.